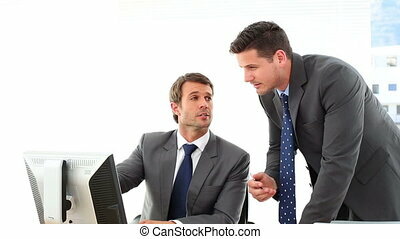 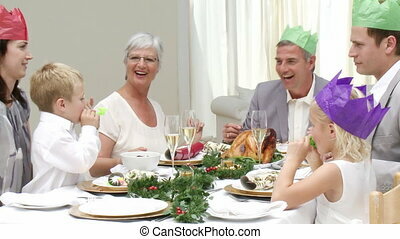 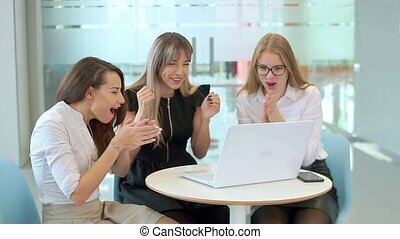 Businessmen looking at their laptop. 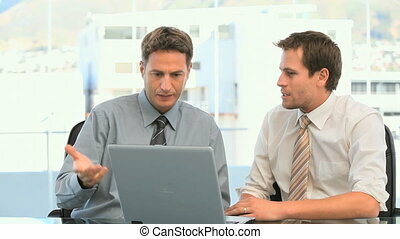 Businessmen looking their laptop in an office. 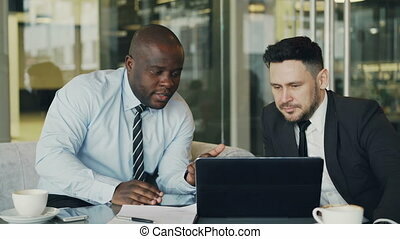 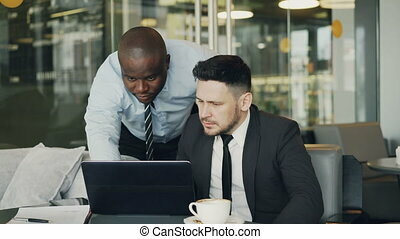 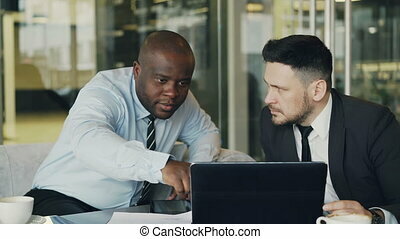 Two multi-ethnic businessmen looking at diagrams and graphs on laptop screen and discussing the financial report and statistics of their startup in modern cafe during lunch time. 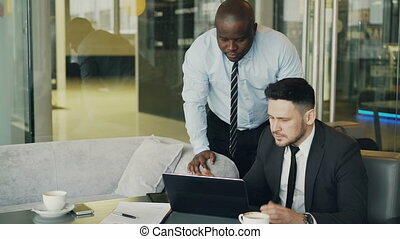 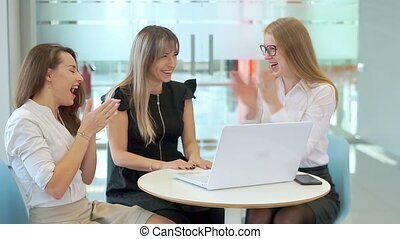 Three Multi ethnic designers check their project on the laptop in their stylish modern office. 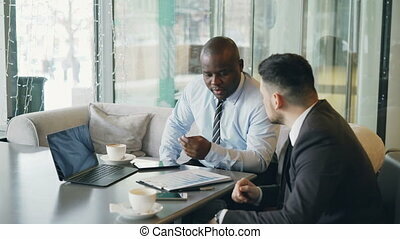 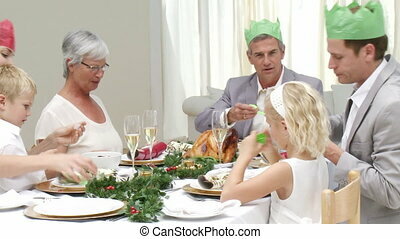 The lady in blue shirt shows the ideas to her colleague by the hand and the woman in glasses and man in white suit attentively looks at the screen of the device on the table.